www.manonvantrier.nl has been quiet lately due to all the organizing. getting things out of my system and getting it in my system again. gathering, cleaning house and cleaning studio. September, but never got the time to post about it. moving all the stuff there, getting a drawers for drawings, etc. yet. This will come soon! Now I just need all the brooms and wipes I can get to start fresh and clean. Three weekends full of creativity! will collaborate for three whole weekends! Join in and be inspired! 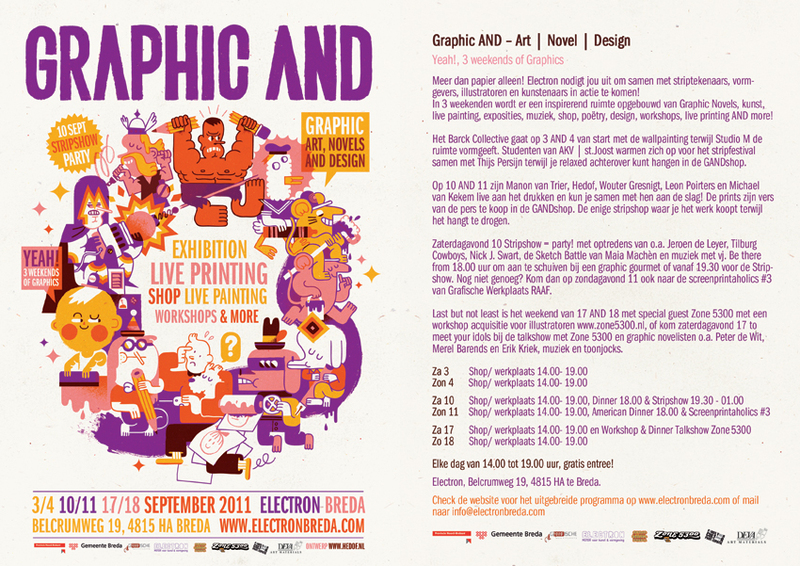 live printing, workshops AND more. Graduation show of the Fine Arts department from the Sandberg Institute. Start 21 mei t/m 21 juli op de Raadhuisstraat 9 ‘s HEER ARENDSKERKE en reist daarna door naar Breda, Rotterdam, Amsterdam, Leeuwarden, Arnhem om in 2012 te eindigen in Tilburg. Voor deze tentoonstelling zijn 16 kunstenaars uit Nederland uitgenodigd die door curator Danielle Lemaire erg gewaardeerd worden en waarmee zij zich verwant voelt. Tekenen is aan de hand. Er worden in Nederland weer op allerlei tentoonstellingsplekken tekeningententoonstellingen georganiseerd. Natuurlijk is dat niet speciek iets van nu. Onlangs ging in een ander Nederlands museum, het Stedelijk in Schiedam, de tentoonstelling “All About Drawing” van start. Deze tentoonstelling toont werk van 100 Nederlandse tekenkunstenaars en wordt op internet aangekondigd als: “De tentoonstelling All About Drawing, 100 Nederlandse Kunstenaars is het eerste grote overzicht van de tekenkunst in Nederland vanaf de jaren 1960 tot nu”. Danielle denkt dat de titel van deze tentoonstelling niet de lading dekt. En dat bij de intentie van het aangekondigde begrip ‘groot overzicht’ namen van voor het Nederlandse kunstlandschap toonaangevende tekenkunstenaars, helaas ontbreken. “Where There Is Ego It Spooks” is daarom als andere tekeningententoonstelling een noodzakelijke expositie met deelnemende kunstenaars die er toe doen in het licht van overzicht geven van Nederlandse tekenkunst. Aan de 16 deelnemende kunstenaars is gevraagd om speciaal voor deze nieuwe tentoonstelling van museum Le Secet een zelfportret te presenteren. Er kon vrij gebruik gemaakt worden van een tekstfragment uit het werk van Jacques Derrida, getiteld: “Where There Is Ego It Spooks”. ‘..Maar dit ego, dit levende individu zou zelf bewoond en binnengevallen zijn door haar eigen schim’. Het zou zijn gevormd door geesten waarvan het de gastheer is en verbonden zijn met de bespookte gemeenchap van een enkel lichaam. bespookt door mezelf die is bespookt door mezelf ..enzovoort. Waar er Ego is,’es spukt’, spookt het; (Het idioom “es spukt” speelt een enkele rol in al deze teksten zoals het dat doet in Freuds “Das Umheimliche”). In de vertaling mislukt het helaas altijd om de link te maken tussen de onpersoonlijkheid of de quasi-anonimiteit van de een operatie (‘spoken’) zonder aktie en zonder echt subject of object, en de schepping van het figuur ‘het spook’ , die niet simpelweg “spookt” zoals we net gewaagd hebben te vertalen, maar “terugkomt. De essentieële manier van zelf-presentattie of de Cogito ergo sum -> Ik denk, dus ik ben-Descartes*zou de begeesterde obsessie zijn van “es spukt”. During a six-week period, four Master students (Jin Jing, Tom Milnes, Samantha Thole and Manon van Trier) from the Sandberg Institute, Amsterdam, have had the opportunity to live and work at the European Ceramic Workcentre ’s-Hertogenbosch. Jin Jing’s research focuses on the possible existence of reality between psychological suggestions and physical appearance. During her residency at the EKWC, she has discovered an island that sank into the Pacific Ocean billions of years ago, named simply “D”. Jing’s work involved making fossils of creatures and tools which show the possible existence of a civilization of this island, alongside real under-sea archaeological research. Tom Milnes’ sound installations and lo-fi media interventions arise from an interest in cultures reliant on technoloy, cultures that only occur because of the invention/popularity of certain technologies. A surreal interchange between the progress of science and our response and adaptability to this environment. For his residency at EKWC, Milnes will be creating a electronic soundboard/drumkit from ceramic effigies of Euroshopper products which the artist will play during a performance. Samantha Thole’s shows skeleton-shaped ceramic objects. These works are the first phase of the project ‘ C.S.I. ; Ceramic Skeleton Investigation’. The works on display have a highly porous surface and will be filled with gelatine ‘organs’ containing strong pigments. This will then be buried in the earth for a period of six months. The colour residue soaked into the exhumed remains become the final sculpture once they are fired. Manon van Trier uses a wide arsenal of visual means to escape the absurdity of the world that surrounds us. The impossibility of escape leads to tragic comic images that really don’t want to be tragic or comic. Inspired by several tv-shows for kids, van Trier is working on props for a larger video project to be called ‘The Boredome’. A world that has acces to everything, which leads to a numb state of being. The main character in this world is Rebirtha. Rebirtha is now in the making and during the presentation van Trier will show a first impression sketch of ‘The Boredome’. days accompanied with a program of evening events forming a larger project. Wijnen, suddenly doesn’t seem shy at all, but rather like a big promise. Open daily from 12 am to 10 pm. OFFICIAL OPENING at 7 pm. Riet Wijnen and Arnar Ásgeirsson. “We will never know for sure” exhibition. and tutor will have an artist talk with five Sandberg students. boycott at the Photo museum Den Haag. will have an artist talk with five Sandberg students. Zwakman – “Perception” and Pieter van den Bosch – ” Minimal damage”. Followed by a short interview by Lucette ter Borg. In the first week of the new year we introduce you This Room, a unique collaboration between the band Autumsun and ten fine artists. The project will be a travelling exhibition with music and art combined. The idea for This Room comes from the singer-songwriter Martijn Kuijten. He was curious about the images his music could bring into the heads of his fellow artistic friends. That’s why he ask ten artists to create an artwork, each artist got one song of the soon coming LP This Room & The Grey Streets. Martijn asked me to react on one of the songs, My Friend the Storm. Along with the process, the endresult is an looped animation. On January 14 2011 the Netherlands Media Art Institute (NIMk) will host a night profiling the work of Sandberg Institute students from all departments. Theus Zwakhals of NIMk and Emile Zile (ex-SI Fine Arts) are producing the event. The last two editions have hosted installations, performances and a screening program to a broad public audience. Y, one of my latest video’s will be shown there. Too all the creatures around the universe a fresh new year! There was going to be a very nice button-fest, where you could send in your own button design. of the designs that were send in, and you could swop. The jury (Klaas Gubbels en Ruben L. Oppenheimer) were going to choose the 50 nicest button designs. Unfortunately the fest had to be canceled because of not enough designs. The 24 Hour Comics Day is a challenge and opportunity for comic artists to draw a 24-page comic within 24 hours. The annual event takes place in many locations around the world in early October. This year’s 24 Hour Comics Day event at Lambiek in Amsterdam begins on Saturday morning, 2 October 2010 at 11:00 AM, until Sunday morning at 11:00. A-GEAKE, the Analog VJ-team is crafting up the audience with their warm baked visuals, handmade, all live. Everyone that is active in the creative world has been there before; if you think you have a great new idea, it turns out that someone else already been there, done that. Aware and unaware we’ve all been guilty of plagiary. But to what extent can you blame the creative one? Is it just a sickness of this time? And to what extent do authenticity and creativity still exist? As an creative one, in which way are we still contaminated on a professional level? With these questions in mind, we have asked the artists, whom all work among different disciplines, to send in some of their own works. The visitor of this exhibition is going to play an active role throughout leaving his or her findings and associations behind. The exhibition will be build up from these findings. It is not intended to block the artist in any way. This act can help the participants understand their works better and maybe even place them in a clearer art-historic context. That’s why for them and the participants it promises to be a interesting and surprising exhibition. With music of Dtone and visuals from Red Sun Visuals. A couple of new works online, go to Recent Works. In the computer-program Word man can create most horrified images, but among that it is also a great opportunity to make the most simple and sublime things. Come and watch some works from people all across the world, such as; Jan Doms, Kevin Janssen, Bas van den Hurk, Laetitia Moon and Manon van Trier. Solo show at Moira, Utrecht. Collaboration with Tom Milnes at the Art Fair Art Pie at Cultuurpark Westergasfabriek, Amsterdam. Zone 5300 spring issue arrived and Kauwboy got published! Zone 5300 is a magazine for comics, culture and bric-à-brac. Available in several Dutch and Belgium bookstores. Get one before it’s too late! Manon and Renée van Trier will work on new experiments during their working period in Tæt from the 16th till the 23th of December. They are sisters and also related to their father, but not to the movie-director. Manon van Trier is a multi disciplinary artist. She uses a wide arsenal of visual means to escape the absurdity of the world that surrounds us. The impossibility of escape leads to tragic comic images that really don’t want to be tragic or comic. Renee van Trier is an artist who observes sharply. She plays with different media, like video, photography, performance, and music. Her work exists of intuitive reactions on the imagery of the world. The sculptural form of the body is an important subject in her work. The StadsGalerij Breda shall be taken over by young artists, designers, photographers and illustrators from the 1th till the 8th of December 2009. One whole week they will be exhibit their works in the StadsGalerij Breda. Opening 1th of December at 20:00, drinks and music will be there. Participating artists: Lobke van Aar, Miriam Caspers, Maarten Donders, Sven Fritz, Paul Geelen, Ineke Goes, Hedof, Siri Hol, Holy Grey, Roel van de Laar, Michelle van Mil, Machteld Solinger, Manon van Trier, Sander Veill, Maaike Verwijs en Julie van Zessen. The graphic designers from ATTAK (Peter Corsman en Casper Herselman) harass the world with their Powergestaltung for 5 years long. This fancifull term is a collective noun for their unique portrets, provocative slogans and other dauntless images. With grotesque gestures but without to many details they give their visual opinion. The raw and essential imagery has a lot of interfaces with punk, which also appear to be their favorite music genre. This 5 year anniversary of ATTAK was the motive for the exhibition A+ earlier this year in the CBK Den Bosch. Post Punk Progression is a follow-up of this exhibition, where all the artists have a similar powerful and head to toe stripped imagery to complete the works of ATTAK. The work does not involve the ideology of punk, but the artists do have a punk attitude in which the DIY (Do It Yourself) process is extremely important. What the four artists bind is a whole self imagery, which in they react on the world and at the same time create their own world. ATTAK is going crazy on the walls in the central space of KOP. They make graphic illustrations with an edge. The Swedish Photographer Charlott Markus reacts on the works from ATTAK with a monumental installation. There where ATTAK only uses the walls, the photo’s and the bright colored carpets from Charlott are spread over the whole space. In the side-space there is work shown of Yasser Ballemans e Manon van Trier. Manon creates absurd drawings that form a dialog with the ceramic works of Yasser. There arises a alienated world where the visitor could participate in. Graphic Design Studio ATTAK creates images (since their establishment at 2004) that balance between graphic design, illustration and fine arts. They will describe this combination of styles in their own terms as Powergestaltung; images with an edge. ATTAK had an aversion from mediocrity and stands for independent and creative input. They strive to 100% pleasure and willfulness. The Swedish Charlott Markus is invited to show the other side of ATTAK. With the help of photography she exposes their icons and inspiration. With bright colored carpets in the shape of an inferno, she leads the public trough an organized chaos. The ’sculptures’ of Yasser Ballemans are made at the European Ceramic Work Center in Den Bosch. These sculptures are the have and hold between of art, object, design and game. The works plays with the apparent opposition between progressive and conservative, stagnation and agitation. The qualification art sounds too formal, the qualification object too normal, the qualification design too incomplete and the qualification game too popular. In short, Yasser creates confusion. A quality on his own. Yasser was one of the co-founders of KOP. Manon van Trier graduated at the department Fine Arts of the AKV St. Joost in Breda in 2009. She got inspired of the sculptures of Yasser during a work period of two weeks at KOP. Within she uses a wide arsenal of visual means to escape the absurdity of the world that surrounds us. The impossibility of escape leads to tragic comic images that really don’t want to be tragic or comic. For more information, go to KOP. My band Rik & Manon played a couple of songs at the wonderful WEI, together with all these other great artists! All artists where performing during the project Concrete Disk, shows that took place on the 12th of December and the 22th of May 2009 at WEI, Eindhoven. The shows where played by: The Romartuz Syndrome, The Pulse Projects, elChi, Autumnsun, Rik & Manon en Modder. And now the first publication from the past Concrete Disk shows is out on CD! And tonight from 20:00 – 01:00 there’s a presentation of this lovely musical collaboration. Enjoy! For more information, go to WEI.